Delegation is a critical skill and a necessity in the business world as you cannot do each and every task yourself, irrespective of your post. Everyone needs a helping hand for better, faster and productive dealings. Delegation prepares employees for future assignments and makes them suitable to handle later operations efficiently. It proves a learning curve that will encourage their personal and professional growth along with those of the company. Assigning tasks and delegating them to the appropriate employee is the responsibility of a manager so that the team can function better. Delegating responsibility shows that the manager trusts and values the services of his employee and acknowledges his competency. 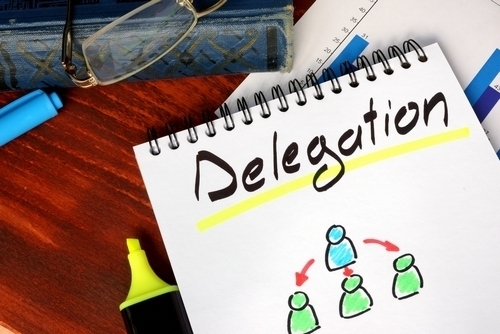 How to Delegate work to Employees? It is necessary to build a professional relationship before you delegate work to employees. You need to know your employee and feel confident that the work you will delegate will be completed successfully and timely. Interact with him on a regular basis so that you can understand his mindset. Talking and listening to him and seeing him work on other projects will help you in getting a clear picture of his capabilities and about his zeal to handle pressure. Look at his body language as it will make the picture clearer. This will establish a trust between the two of you which can be carried forward. Finding the right person for the job is not an easy task. It will be up to your own experience and thorough research to find him. It is important to know that the person has the required skills and knowledge to undertake it before you delegate work to the employee. Do not make a choice randomly. Everyone has a different set of skills and strengths so be precise in your selection and determine beforehand his capability to handle a work of that magnitude. Once you have made the decision give him the authority and freedom to handle it according to his suitability in a particular timeline. 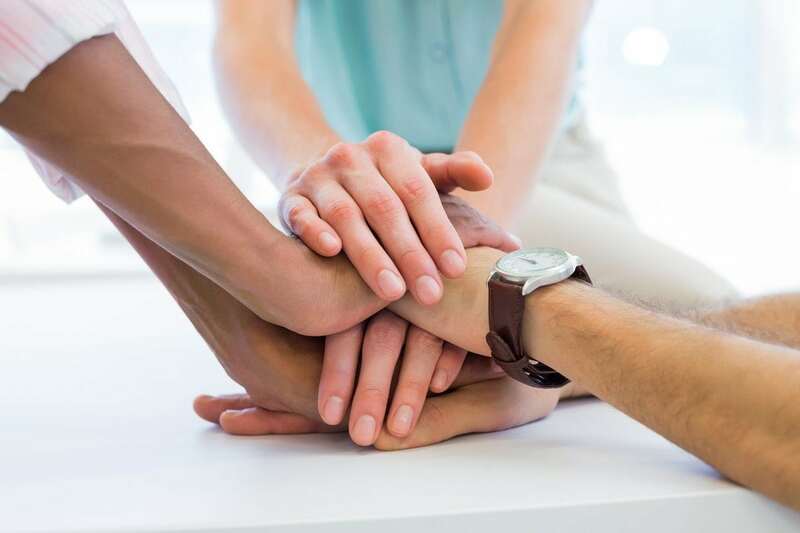 Make sure to let everyone know that you have delegated the task so that he can ask for any related support from his colleagues and subordinates. Explaining the task and clarifying your expectations is very important. You need to give him the necessary information and documents in detail so that he can follow your instructions to the letter. If you are working with him the first time make the deadline and your expectations clear. If you need him to follow certain instructions in a definite way make it known and if you want him to work independently then also inform him. Communication is the key, be explicit in your demands before you delegate work to employees. It is better to let your worker know about the deliverables and milestones related to the job and the impact of that project on the company. Better confirm his understanding and commitment at the onset so that you can take a breather. Yes, you have delegated an important work to your employee but make sure that he knows that he has full accessibility to you at any point in time. This will give him the confidence to undertake any decisions independently. Encourage your employees to ask any questions and queries so that you can clear their doubts. It is better to solve the problems at the onset rather than wait for a later date when the deadline is much nearer. Make your availability clear before you delegate work to employees. We cannot emphasize how important it is to meet at regular intervals and to cross check the work being done. Set up meetings weekly if it is a short-term project or fortnightly if it is a long-term one. Make sure to let everyone know that if a meeting in-between is required then they could call for it anytime. For your employees, these meetings are very important as he can go through any queries with you. Your support and direction will prove a booster to his efforts. So make your position and directions clear. If the project is running smoothly then offer words of encouragement and praise. If it is lagging behind, give a fair warning. Make sure you are aware of every happening because the decision to delegate work to the employee was yours and the completion of this project is your responsibility. When you delegate work to employees you are not simply lessening your own workload. No, it is a process through which you are encouraging better work in your team. It will give others a sense of achievement and accountability so that they can undertake more responsibility with time. While delegating work give your employee the required authority but also foster a sense of ownership. Make it clear that the project is his personal responsibility from now onwards and he will be held fully accountable for its success or failure. The assigned employee will thus realize his responsibility and work towards achieving his goal within the deadline. When you have started delegating work then it is necessary to encourage feedback from your team. This will help you in gaining knowledge about every aspect of your team members and projects. 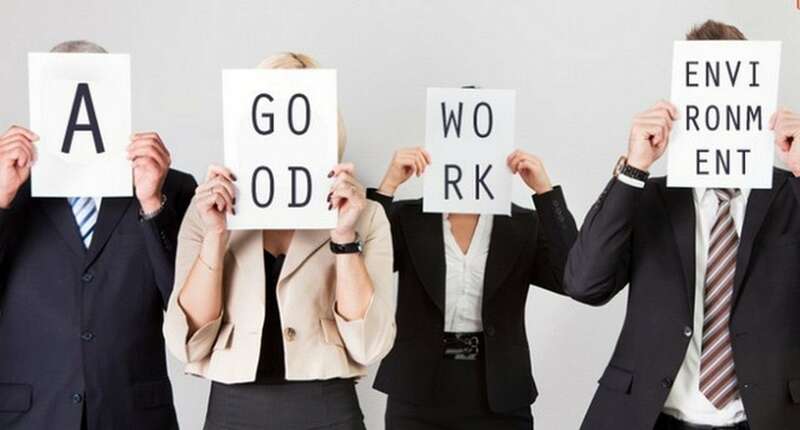 Encouraging an open atmosphere in your workplace is important before you delegate work to employees. Discuss the projects and work atmosphere with your team. Listen and know whether they are facing any difficulty. Ask them to offer genuine feedbacks so that you can understand the problems they are facing. Make sure to take prompt and decisive action to counterbalance such negativity. This is the right time to show your appreciation or constructive criticism depending upon the circumstances and encourage them to do better. Delegating an entire project to one single employee is a smart move. Make an individual the leader and let others work under him so that there will not be any confusion amongst the members about the team leader. It is better for everybody if there is one boss in the team and he is the one to select his team and handle each member accordingly. Before you, delegate work to employee make him aware of the magnitude of the project and tell him about his own accountability and responsibility in the whole picture. Ensure that he is getting the required support from other members to complete the project in time. Each employee has a particular set of skills and knowledge. Know about them in minute detail so that you can delegate work to employees in accordance with his talents and preferences. 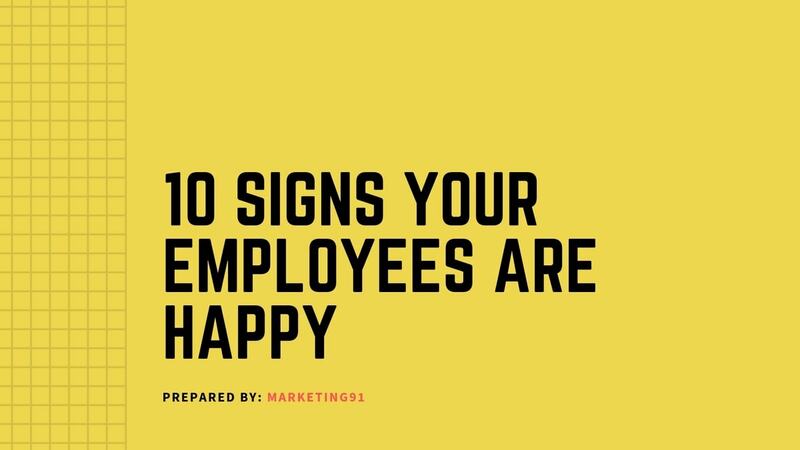 Make sure to utilize unique personalities and know-how of your employees and hand over work accordingly to gain best results. It is not necessary that you will find the right fit every time but a clear understanding of your workers will help you in making a much better decision with time. Be patient and understanding. If this is the first time you have delegated a work then you should be aware that your employee is certainly going to take much more time than you for completing the said project. Remember you had the confidence over your employee and his suitability is not a question mark. Once you stop believing that you are the only person to do this job properly then it becomes easier to expect good results from others. Make sure that you have reasonable expectations before you delegate work to employees. Give him the freedom, authority, information, and resources and just wait and watch. In 90% of the cases, the employees will surprise you with better results. Appreciate and acknowledge their efforts. Remember it is not only about you but also about encouraging successful delegation amongst employees. 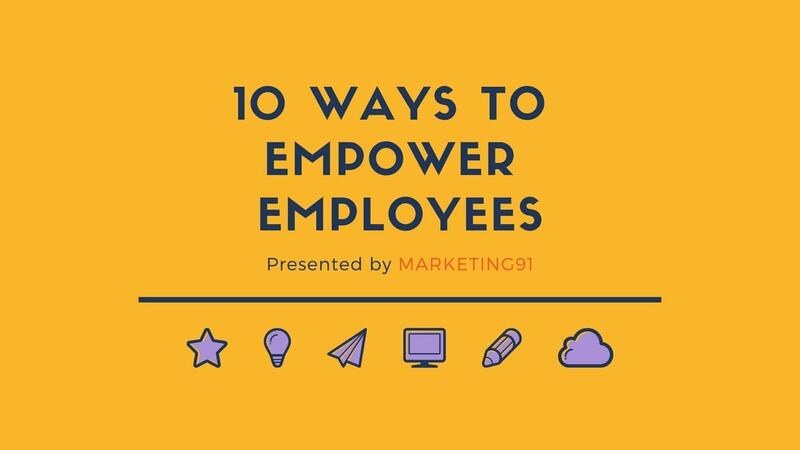 The above were all the ways you can Delegate Work to Employees. 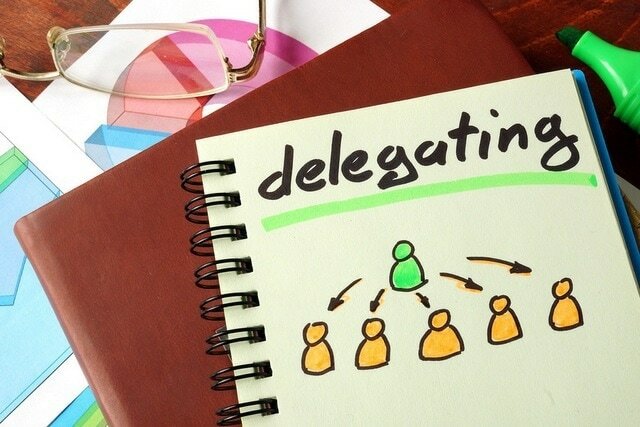 Hope these tips help you delegate better.